Around the World with Nancy Drew: A whole new language to add to the lexicon! A whole new language to add to the lexicon! While at the annual Nancy Drew Sleuths convention I received an email from Austin Johnson, another series book enthusiast. 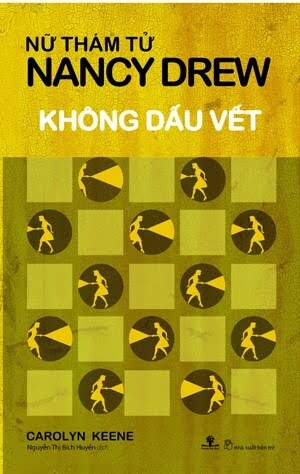 He sent me a clue about the existence of some Nancy Drew books in Vietnamese. Further investigation led to the discovery of 2 Girl Detective titles which were translated into Vietnamese in 2009, plus the apparent existence of some earlier works from the classic series issued in the 1990s. The reason these had not been noticed by me previously is that the 1990s books used the French "Alice" name instead of Nancy Drew. This would sort of make sense since Vietnam was once part of the French colony Indochine. I am attaching the image of one of the Girl Detective books - I have not been able to find an example of the older books as yet. I think I have found a source for the Vietnamese Girl Detective books as they continue to be in print. I'm so excited that I can now officially declare that Nancy Drew books have been translated into 28 languages!